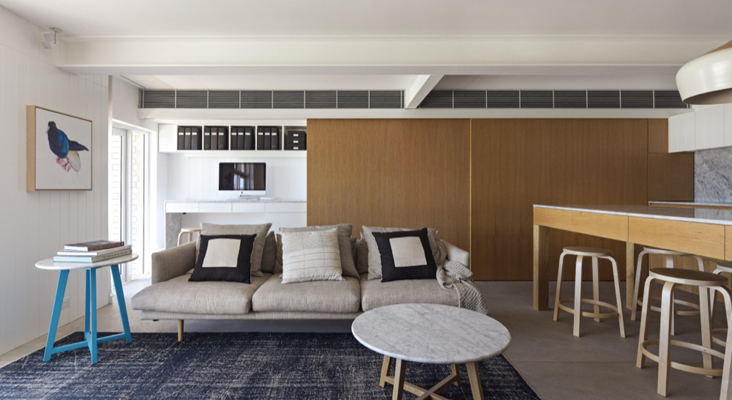 The renovation of this 1970s apartment is driven by its views and a desire to provide the amenity of a terrace house within a small apartment. 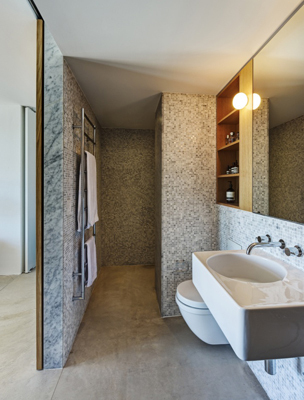 Conceptually, the project juxtaposes ideas of revealing and concealing, using sliding walls and doors within the 90-square metre interior to allow the home to serve multiple functions. 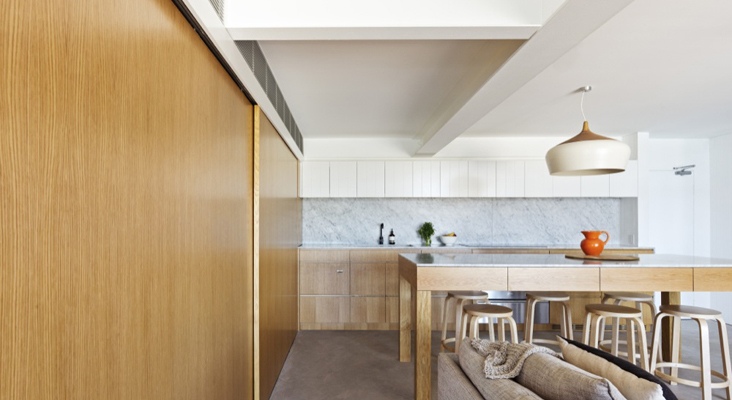 A large sliding timber door in the living room conceals a study, laundry, store and pantry, while the kitchen island doubles as a dining table.